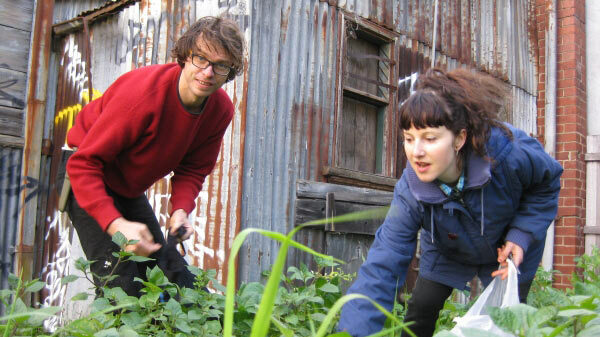 The no-dig gardening concept was popularised by Sydney gardener Esther Dean in the 1970s as a way of minimising gardening effort while kick-starting a garden with maximum fertility. Any more fertility and you’re likely to have triplets. A no-dig garden consists of layers of organic material that are stacked up to form a rich, raised garden area. The no-dig garden can be whatever height you desire. Vegetable seedlings, flowering annuals, herbs, bulbs and strawberries all thrive in a no-dig garden. If you’re building a bed over concrete, place a 10cm layer of dry branches onto the concrete to allow air into the bed, and head to Part 2. If you’re building over earth that has few weed problems, you can proceed straight to Part 2. This is a one time only establishment technique. It’s best done in warmer months, as this helps create the conditions that we need to rot the weeds. Over the slashed area, sprinkle with blood-and-bone or chicken manure, and water it in. This will create the anaerobic skank. And it will also help the newspaper break down over time. Think around a good handful or two per square meter. Soak your newspaper in water (e.g., in a wheelbarrow). 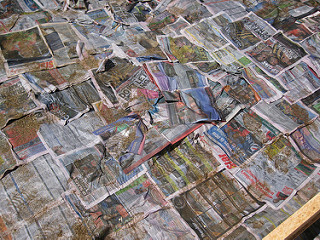 Cover the area with thick layers of the damp newspaper (at least 6 pages thick — more if any runner gasses like couch or kikuyu grass are present), overlapping by 10-15 cm. Be thorough! Now we’re going to build up our materials in layers, just like we were making a delicious baked pasta dish. Keep adding these layers until you get to your desired height. We recommend building up the garden at least 30-40cm. To plant seedlings, pull aside the mulch and add one or two handfuls of compost to the hole that you’ve created. Make a hole in the compost and plant the seedling into this compost. NOTE: The no-dig garden will approximately halve in height in the first six months as it composts away. 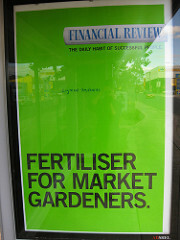 Therefore, if for example you want a 30cm high vegie bed, build a 50-60cm no-dig garden. To maintain the health of the no-dig garden area, VEG recommends adding home-made compost at least once a year (the start of spring), but preferably twice a year (the start of spring and the start of autumn). See the VEG compost info sheet or come to a VEG compost and worms course to learn the keys to increasing soil health. We can also heartily recommend some VEG cypress garden edging for no-dig gardens that are 40cm or higher.